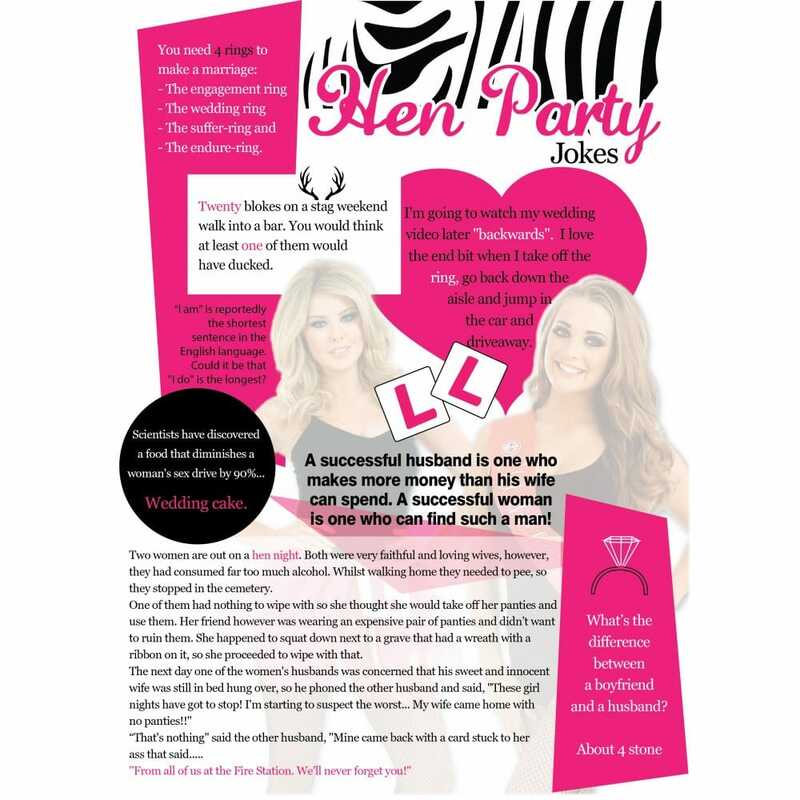 Thanks to these free downloadable Hen Party jokes, you can enjoy some giggles with your girls before the partying begins. These jokes are perfect as a little mood lifter between courses if you're going out for a meal, or as part of your Hen Party games routine. These jokes are available for you to download and print, which means you could even use them as a gift bag filler.